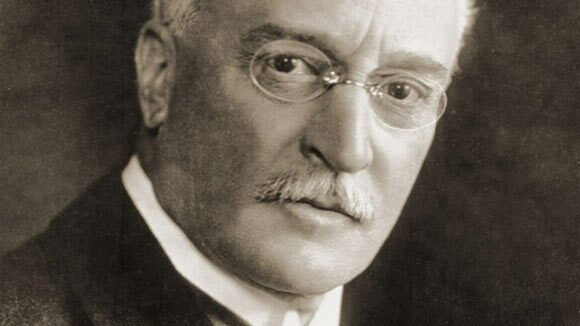 Rudolf Diesel (formally Rudolf Christian Karl Diesel) was a thermal engineer and inventor of German descent, best known for the invention of the diesel engine. Diesel was born on March 18, 1858 in Paris to immigrant parents. His early childhood was spent in France but due to the onset of war in 1870, his family was deported and decided to move to London. When Diesel was 12 years old, his mother sent him off to live with relatives in Germany. From an early age, Diesel knew that he wanted to become an engineer. He was academically brilliant throughout his life, graduating at the top of his class in school and later with highest honors from the Royal Bavarian Polytechnic of Munich in 1880. He was studying there on merit scholarship against the wishes of his parents who had wanted him to start his career sooner. Diesel’s graduation was slightly delayed as he could not attempt his final examinations due to a bout of typhoid. While waiting to take his exams, he started working at a company in Switzerland in order to gain some practical experience. After graduation Diesel returned to Paris to work for a former professor from Munich named Carl Von Linde, to help him in designing and setting up a refrigeration plant. He took over as director of the plant a year later. In 1890, Diesel and his family moved to Berlin and it was here that he started to expand into other fields. He conducted extensive research on thermal and fuel efficiency. During the course of his research he built a prototype steam engine which exploded and caused considerable damage to his health, causing him to be hospitalized for several months. After this he began to be influenced by the work of Sadi Carnot, an 18th century French physicist. The engines that existed during his time were fuel inefficient and caused almost 90% of the energy to be wasted. Diesel claimed that he could make an engine with 75% fuel efficiency and got financiers to back him up and obtain a patent for an oil based engine. The first working engine of this type was developed in 1893. A refined, more efficient version was developed in 1897, and this model achieved widespread popularity and use in railway, shipping, industrial production and later automobiles. Diesel became extremely wealthy as his engine was not only more fuel efficient, it was also less noisy, and required less repairs and upkeep as compared to other types of engines. By 1912 there were more than 70,000 diesel engines in use worldwide; Diesel’s engine had revolutionized the industry. His death occurred in mysterious circumstances while he was aboard the ship “Dresden” on his way to London. On September 29th, 1913 Rudolf Diesel had dinner on board and left instructions to be awoken at 6:15 am on the following morning. However, the next morning there was no sign of him anywhere. His personal belongings were in place and his bed had not been slept in. His body was discovered floating in the sea a few days later but because it was decayed, the crew did not bring it on board. He was identified by the personal items found on the body (which the crew had retrieved) by his son Eugene. Later it was discovered that Diesel had left a bag of cash back home for his wife with instructions not to open it for another week. The cause of his death is open to interpretation; some say it was suicide, others say it was a conspiracy by the coal industry moguls who had been hurt by the development of the Diesel engine and yet others say he was on the verge of being broke and chose this way out. However, the Diesel engine only gained further in popularity. Over the years it was refined and improved, and is still in common use today.